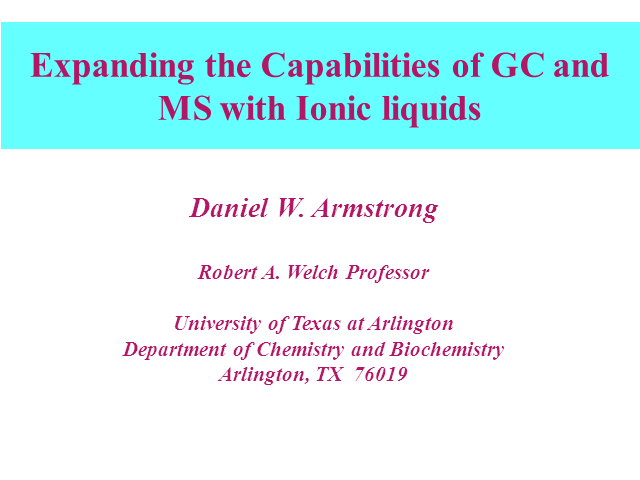 Ionic liquids (ILs) and their components have had a substantial impact on the capabilities and performance of gas chromatography, ESI-MS and MALDI-MS. For GC this ranges from the analysis of complex mixtures by GC x GC, water quantitation and food/beverage analysis among other areas. In MS the most sensitive analysis of anions, phospholipids and metal cations is often done by ESI-MS using complex IL cationic reagents. Also the best MALDI matrices for many proteins, peptides, carbohydrates and synthetic polymers are based on ILs. These will be discussed as time permits.